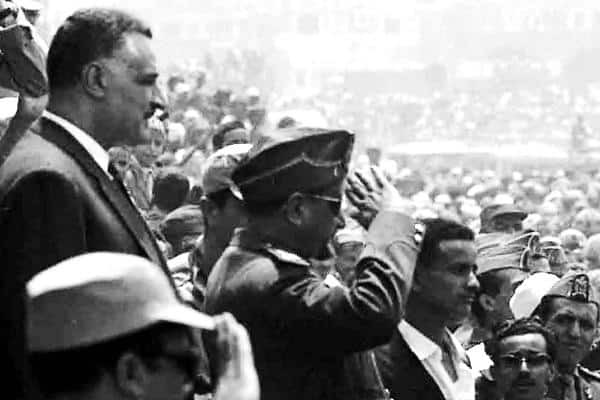 Led by President Gamal Abdel Nasser, the Egyptians funneled money, arms, and eventually ground troops to support revolutionaries in North Yemen who had taken power through an Egyptian-sponsored coup on September 26, 1962. The Saudi Arabian government would not stand for the removal of a monarchy on its southern border by Nasserist forces. As such, the Saudis backed forces loyal to the former king, Imam Ahmad, and the tribal warriors who fought with him. The civil war between the Egyptian-backed republican government forces and the Saudi-sponsored royalist opposition served as a two-level proxy war, with the Soviet Union funding the Egyptians and the United States funding the Saudis. 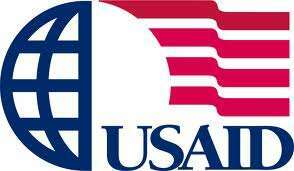 Amidst all this, the USAID mission was ransacked by a mob, which carted away a safe filled with confidential materials. Moreover, the mission had, in the words of one interviewee, committed “the most horrific security violation” by making copies of highly classified materials in contravention of regulations. Fortunately, those were not stolen but were destroyed quickly once American staff were able to return to the building. Parker Hart served as Ambassador to Saudi Arabia from 1961-1965 and observed the Saudi involvement in the North Yemen Civil War. Francois Dickman was working as a desk officer at the United Arab Republic desk from 1961-1965 and tracked the short-lived union between Egypt and Syria. David Newton served as an Economic Officer in the Yemen Arab republic, the name given to North Yemen by the republican government, from 1966-1967. William R. Crawford interviewed Hart beginning in January 1989 and Stanley Brooks interviewed Dickman beginning in February 2001. Charles Stuart Kennedy interviewed Newton beginning November 2005. Go here to read about Yemen after 9/11 and other Moments on the Middle East. NEWTON: The revolution was September ’62. 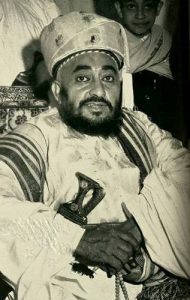 It was brewing because the imam, Imam Ahmad (pictured), who had taken over after his father was assassinated in ’48, had still tried to keep the country completely isolated with ever less success, transistor radios and so forth bringing in the outside world. No education[al system] to speak of, no medical system, a few foreign doctors and so forth. Pressure building up for a change. 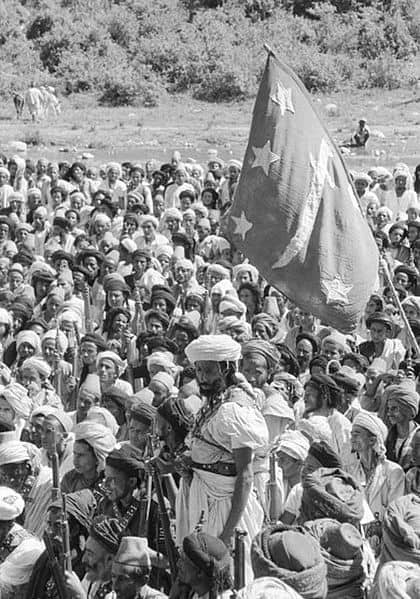 The opposition was some people exiled in Aden who were mostly Western-style liberals, then Arab nationalists influenced by Nasser, and tribal leaders who had various grievances. And finally, with a lot of Egyptian connivance, the Commander of the Presidential Guard, Abdullah as-Sallal, took over. They had a coup and Sallal proclaimed himself president. Imam Ahmad had died the week before. He was a very strong, ruthless man. People were afraid of him, but his son, the new Imam Badr, was seen as weak and soft. So the young Imam fled up north to get support from some of the tribes, and then you had a civil war, which went on for about five years. Saudis were helping the royalists but of course the amount of help they gave was not nearly as much as the Egyptians could give. The Egyptians had 50- 60,000 troops there at the peak…. They had an advisor in every ministry and they had their own military command. They were really the significant military force. The Yemeni Army wasn’t too much. The Yemenis were already beginning to resent their heavy hand, and the fact that the Egyptians, not being rich, were financing their presence on the back of the Yemenis. This eventually got worse and worse and then the Egyptians then had to leave after the result of the June  war. They couldn’t afford to keep their troops there anymore. At the end I remember hearing of the last day. I wasn’t there then. We’d all gone. Some Egyptian soldiers came in town to make one last purchase, and the Yemenis cornered them and slaughtered them, the last half dozen or so. They were just getting very tired of them. Sallal (seen with Nasser, saluting) was seen as a puppet of the Egyptians, and the Egyptians had put in a number of really unpleasant people like the Minister of Interior and deputy and so forth. But then there were more moderate people. The presidency actually consisted of three different people. [It was a] presidential counsel, and they tried to be the “republican council.” It wasn’t a presidency. They tended to be more Yemeni and nationalist than moderate. When the Egyptians had to leave, they just brushed aside the Egyptian puppets and took over the government. So it was a mixture of people. But they had no control. One of my jobs was to go every time the Egyptians did something to us, I’d go down to the Foreign Ministry to protest, and I’d see the Deputy Foreign Minister who was in his thirties, and I’d tell him about all these awful things. He would commiserate with me, saying, “That’s terrible. This shouldn’t happen.” But he couldn’t do anything about it either. I think we developed a sense that we were suffering together with the Yemenis under this oppressive, heavy-handed Egyptian occupation. Yemenis used to have this saying, “You can’t buy us, you can only rent us for a while.” What had harmed the loyalists is the fact that Imam Ahmad, the one who had died a week before the revolution, was a very tough guy, and he’d gone off for medical treatment in the late ‘50s to Italy. While he was away, his son, who became Imam al-Badr, decided he had been infected with Arab nationalism. He wanted to build up support among the tribes. So he gave out all the money in the treasury to the tribe sheikhs. He cooled down a little later but it was too late. The sheikh and his son had been beheaded. This was the paramount sheik of one of the two major tribal confederations, the smaller but better organized one. His other son who took over, who [was] head of the parliament, became the main tribal leader, and the tribe split as a result. Many of the tribes, maybe they were paid, supported the republic. Other tribes supported the imamate. Where you would have expected the tribes to be more united behind the imam, they split because of this incident that happened. The Egyptians sent in a lot of troops. They cleared out the populated areas and had a reasonable degree of control in the areas where people tended to live. But then they tried to get out in the wild areas and the north and east, and that’s where they really began to get creamed by the tribesmen. They took a lot of losses, and they couldn’t afford to keep all these troops there. So while I was there in ’66, they adopted something they called the “long breath strategy.” They cut back the troops somewhat and sort of ceded these sparsely populated areas to the royalists. But they really controlled everything that was very significant with a couple of exceptions. They probably could have hung on for considerably longer but then with the ’67 war that changed everything. The crisis started in late April when there was a rocket attack against an Egyptian installation in Taiz, in which I think a couple of soldiers were killed, I think Egyptian soldiers. The Egyptians apparently traced the people who’d fled; they fled out through the USAID [U.S. Agency for International Development] residential compound. So they decided , whether they believed it or not, to try to finger us and they arrested two AID officials, one of whom was a Levantine American. 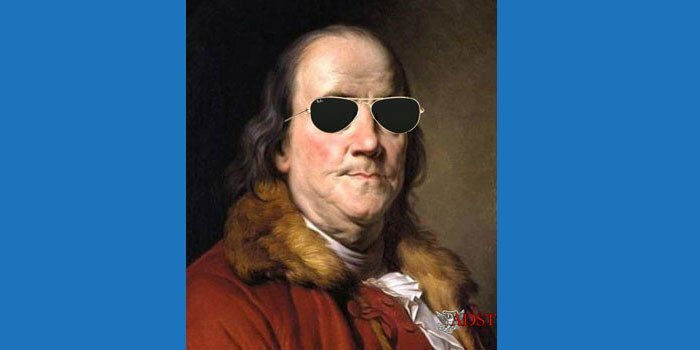 He was a Greek from Alexandria, had become an American citizen who spoke Arabic and was greatly suspected by them because he spoke Arabic. This created a crisis. Eventually the Secretary of State intervened with the Egyptian Vice President and we managed to get them out and on a plane. But in the process we closed down the AID mission, evacuated all the AID people and cut the embassy in half, more than half. I was one of six people who were going to stay, and we had just sorted this out. We still had a few people who were traveling, having packed up [the U.S. diplomatic mission] in Taiz, when we got the first word that the Egyptian troops had crossed the [Suez] canal, headed for the Israeli border. Then of course then it really hit the fan, and within a couple of days the  war had started. We were accused of helping the Israelis. They broke relations, gave us forty-eight hours to leave, and we had to pack people out in a hurry. HART: To illustrate the degree of Egyptian involvement there, about Easter in 1967, there was an attack on a Yemeni army post at Taiz in the southern capital, where we had a branch embassy and where our AID mission was. This was in the middle of the night. Somebody with a bazooka or bazookas attacked this Yemeni army post. The Yemenis, at Egyptian prodding, accused two AID Americans, one of whom was an Alexandrian Greek and spoke Arabic, of perpetrating this attack. A mob very quickly formed and sacked the AID offices. President Sallal ordered the withdrawal of the AID mission, and we sent everybody out to Asmara over in Eritrea. Well, we began trying to get entry back into the building. The building had been sealed by the Yemenis at Egyptian direction. The Egyptians were in there. Our people could see them at night with a welding torch trying to cut their way into the safe. It was a little safe, a two-drawer safe. You could see the traces of this thing all throughout the building. The asbestos lining of it had come out as they had taken it from one place to another and tried hitting it with sledgehammers. They finally carted it away and got it open somehow. We never saw that safe again. Eventually, Dean Rusk, the Secretary of State, negotiated an agreement by telegram with Abdul Hakim Amir, the commander of the Egyptian Armed Forces, to send a team down to retrieve our classified papers inside this building. There was a lot of talk about the right of legation. Rusk kept referring to the right of legation and how sacred it was. So I was sent down to the Yemen with a team of three other officers…and taken to Sanaa, then taken in the Egyptian commander’s airplane down to Taiz where my team was allowed into the building. As I say, we never found the little safe behind Hamer’s desk. But we did get into the strong room. They had a strong room there where the files were. It was the most horrific security violation I have ever seen. Those people down there — we didn’t have a Xerox machine in those days — they used a thing called a thermofax, which made a rather fuzzy copy of things. Because everybody in NEA repeated telegrams all around the lot, to all the NEA posts, we routinely sent telegrams about anything important happening in Cairo, to Taiz and to Sanaa. The little embassy office in Taiz would send a copy over a block away to the AID office where, contrary to all regulations, they were making copies. 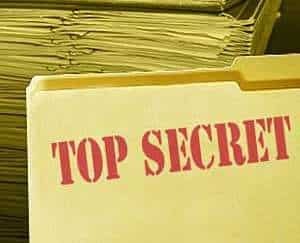 There must have been half a dozen filing cabinets, four-drawer filing cabinets, full of classified telegrams up to and including Top Secret, all of which had been copied in violation of security regulations. These cabinets had all been left open. The file clerk had gone off to lunch. Fortunately, she had closed the outer door. As far as we could tell, nobody had gotten in there. Things were not disturbed. They were in chronological order and so forth. I just think it would have been beyond Egyptian or any police abilities to do that without disturbing things, to go through them. Anyway, they would have taken them away, they wouldn’t have put them back. You can’t copy a thermofax copy. So we put this stuff in big pouches and hauled it back up to the embassy branch office which had a tiny little incinerator, and we burned for forty-eight hours. We subsequently learned that the attack had been carried out by a guerrilla group supported by the British. The British were responsible for this. Americans had nothing to do with it. I would go every day to see Liapis and Hartman and hold their hands and see how they were getting along. After we finished burning the papers, I was ready to go home. I went to see them on the last day. As I was there, the governor of Taiz came in and read off a notification that they were being charged with — I forget what it was — sedition or something. Anyway, it was a capital offense, and they would be taken to Sanaa, to the capital, to be tried. So I went up to Sanaa with them. Lee Dinsmore, our chargé, worked out a deal with the Yemen authorities whereby he put up two (or ten?) thousand dollars in cash out of his evacuation fund for bail. And we took off with them with the understanding that we would bring them back for trial, but everybody knew we never would. I flew out to Asmara with them and got back to Cairo on about the fifteenth or sixteenth of May at which point the crisis which led to the June war was in — what shall I say? — full swing. Nasser had alerted his forces, had sent troops into Sinai and was about to call for the withdrawal of the United Nations Emergency Force. DICKMAN: The pressures on the Saudi budget caused by rising defense expenditures, foreign aid, and a helter skelter of different development projects had forced the government to apply stringent fiscal restraints. In order to deal with the problem, the Saudi Central Planning Organization, headed by Hisham Nazir, had completed the Kingdom’s first comprehensive plan with the assistance of the Stanford Research Institute. Meanwhile, Saudi attempts to reestablish a monarchical regime in North Yemen were going nowhere. 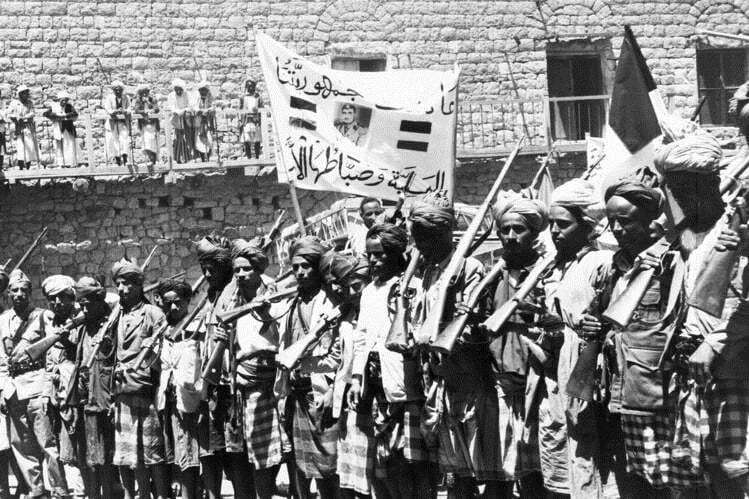 Although Nasser had withdrawn Egyptian forces from North Yemen in return for Saudi aid, the Yemeni Republicans had managed to maintain control over much of the country by turning increasingly to the Soviet Union for military equipment and to Communist China for economic assistance. 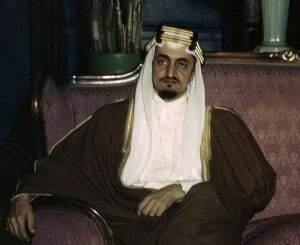 Early in 1970, King Faisal finally decided to stop supporting the royalists and to establish diplomatic relations with the Yemen Arab Republic. King Faisal had finally realized that the Yemeni Royalists had become a very expensive lost cause and that the civil war was only giving Moscow new opportunities to meddle in the Peninsula. The Saudi recognition of the North Yemeni regime gave me a couple of opportunities to fly down to Sanaa to meet with the then-head of the Yemen National Bank. Saudi Air had established a fairly regular flight schedule with Sanaa. Although North Yemen had broken diplomatic relations with the United States during the June 1967 war, we established an interests section following Saudi Arabia’s recognition of the North Yemen regime under the protection of the Italian embassy. HART: There was a U.N. effort to try to reach some sort of a cease-fire and a truce. They all fell apart sooner or later. The war was still going on at a rather — what we would call low intensity level of conflict when the war came in 1967. In this case, the contest for our affections was between Saudi Arabia and Egypt.